Model XL30U. Type LCD projector. Class digital projector. 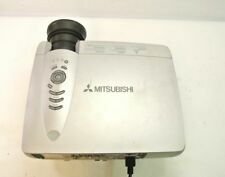 Product Line Mitsubishi ColorView. Image Brightness 3000. Brightness 3000. PROJECTOR LENS SYSTEM. Lens Aperture f/1.7-2.2. 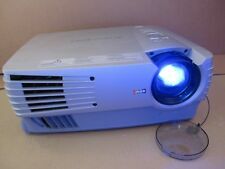 Used projector that is in functional shape. If it is not pictured that it is not included. - has scuffs and scratches - see pics. What you will receive - there is a crack on the top - see pic. This has been tested via the VGA port and it is in working order but has a greenish tint. Includes working lamp and power cable. Unless otherwise stated, this has been tested for key functionality.